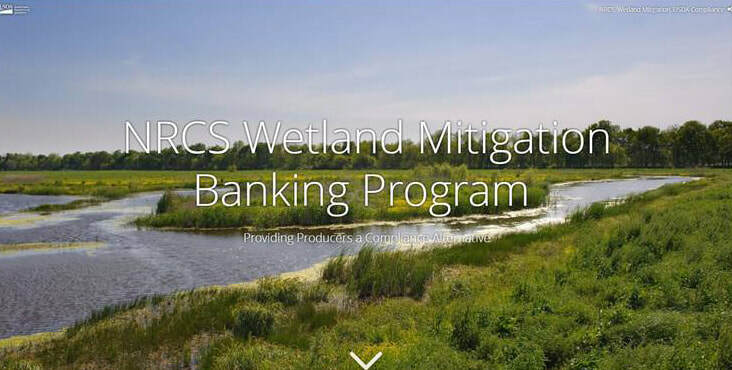 Ag Bank Webb App - IOWA AGRICULTURAL MITIGATION INC.
IAM is working with NRCS to promote agricultural wetland mitigation banking (Ag Bank) awareness in Iowa.This web app is accessible via computer or any mobile device. Landowners, producers and associated ag entities interested in purchasing Ag Bank credit to offset wetland conversion, as well as those who would like to discuss developing an Ag Bank on their property, should fill out the confidential survey found on the website. Click for more information.